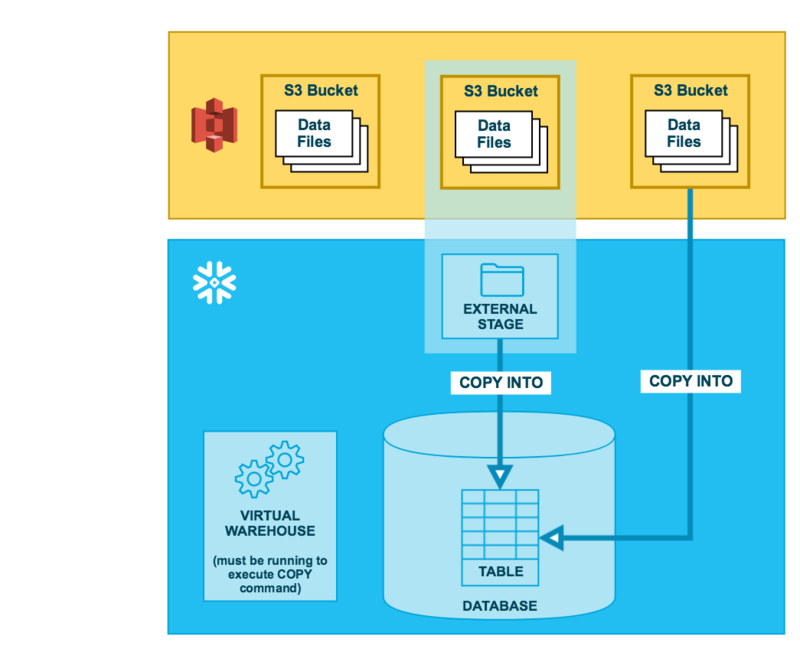 If you already have a Amazon Web Services (AWS) account and use S3 buckets for storing and managing your data files, you can make use of your existing buckets and folder paths for bulk loading into Snowflake.This set of topics describes how to use the COPY command to bulk load from an S3 bucket into tables. Snowflake assumes the data files have already been staged in an S3 bucket. If they haven’t been staged yet, use the upload interfaces/utilities provided by AWS to stage the files.